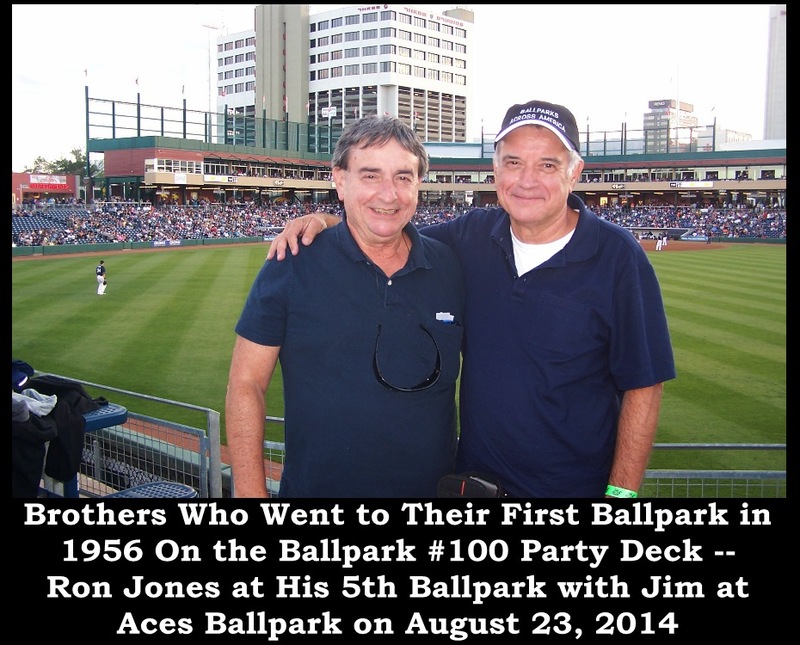 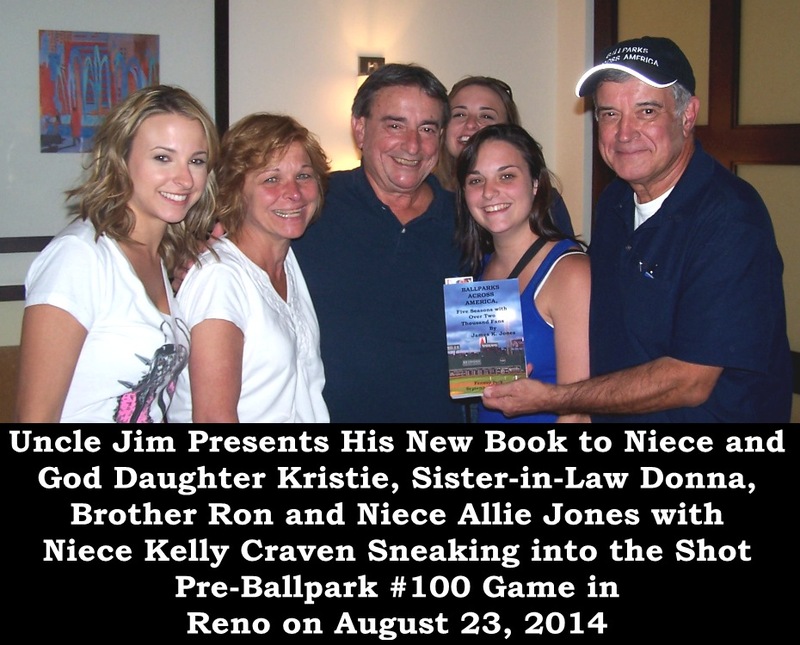 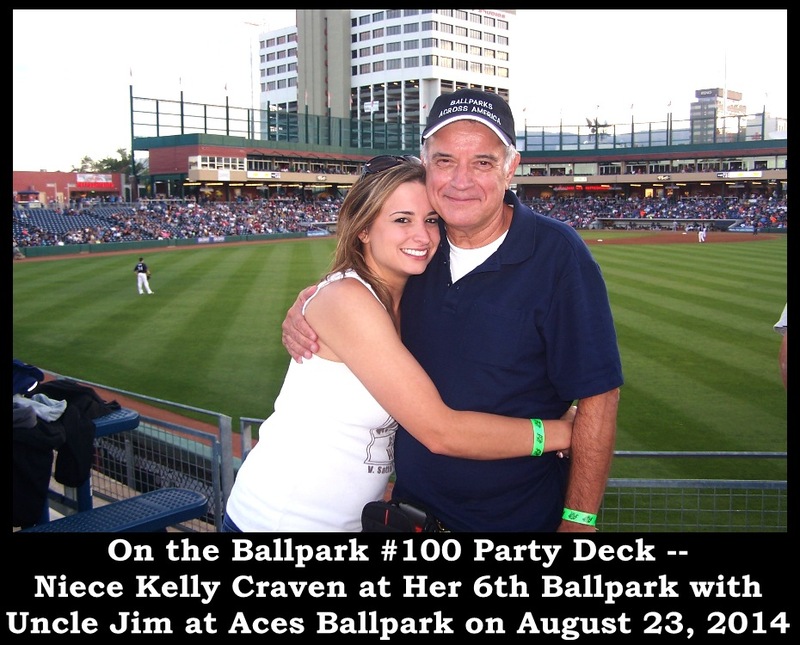 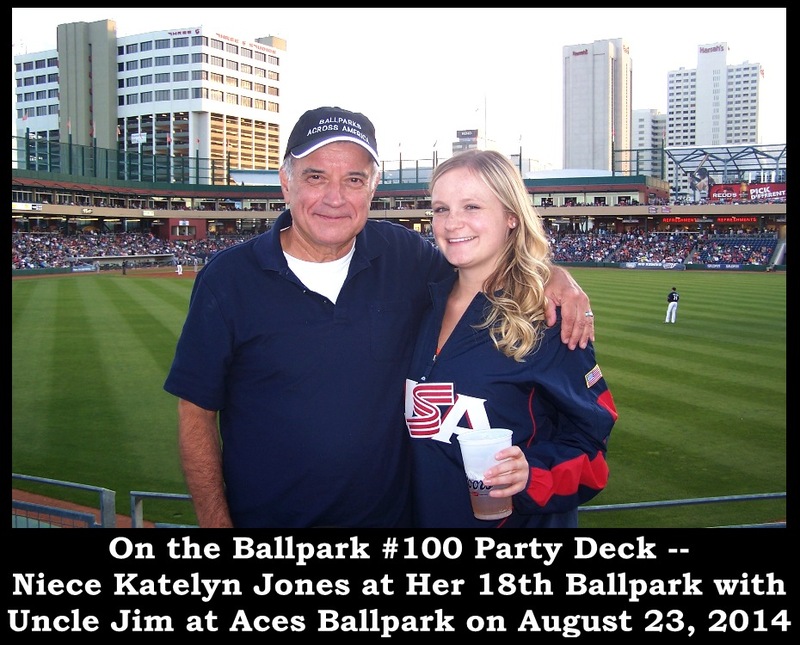 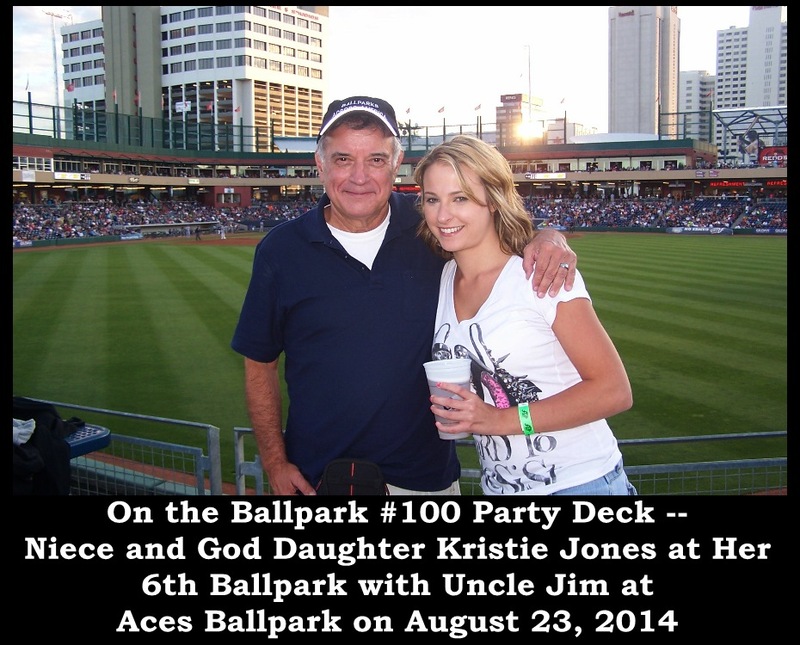 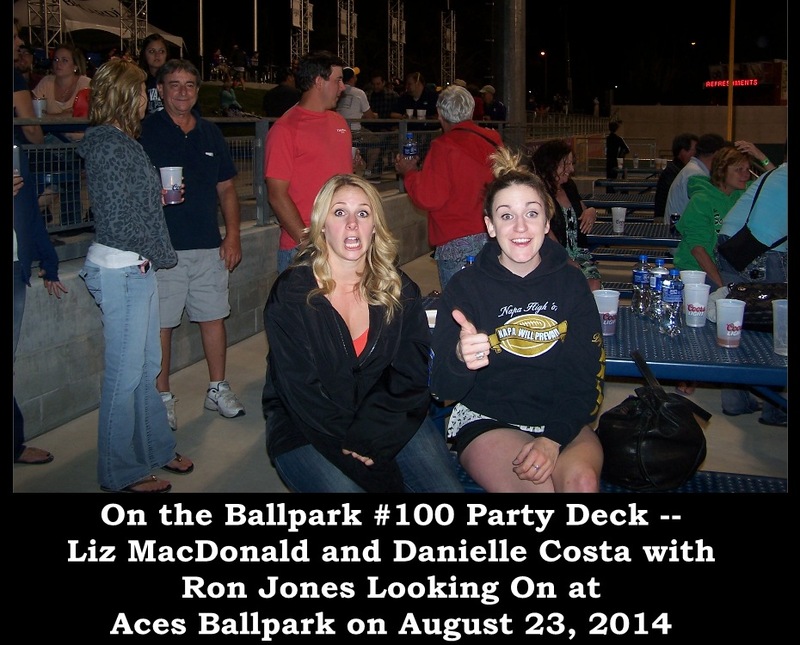 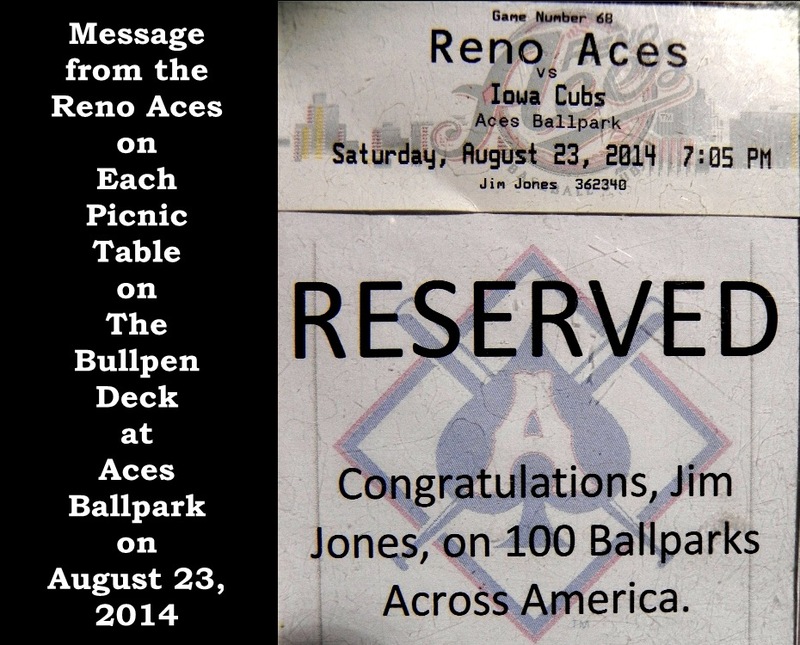 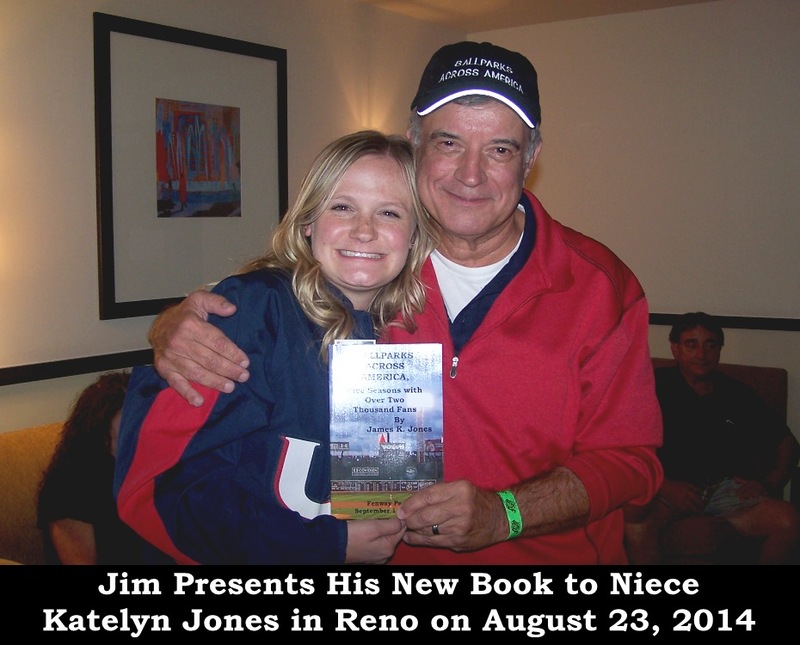 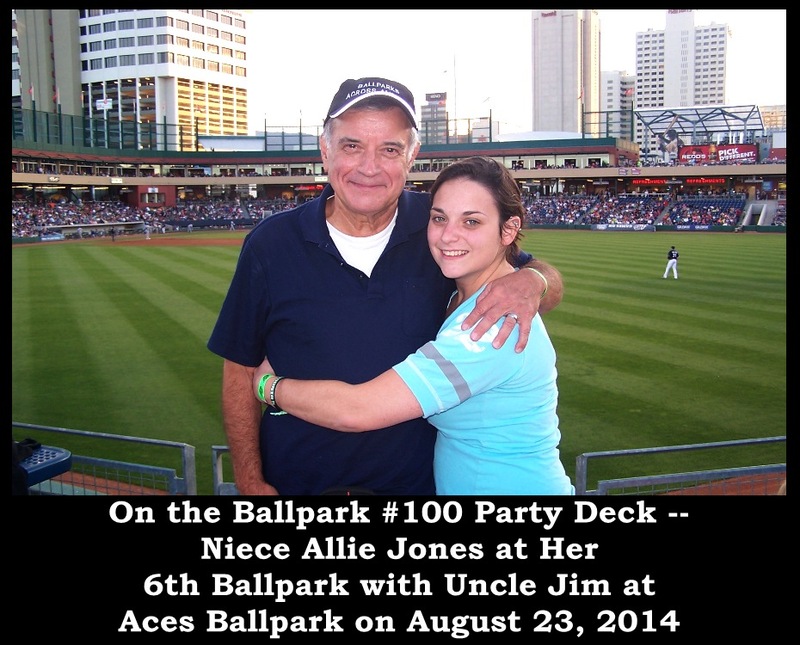 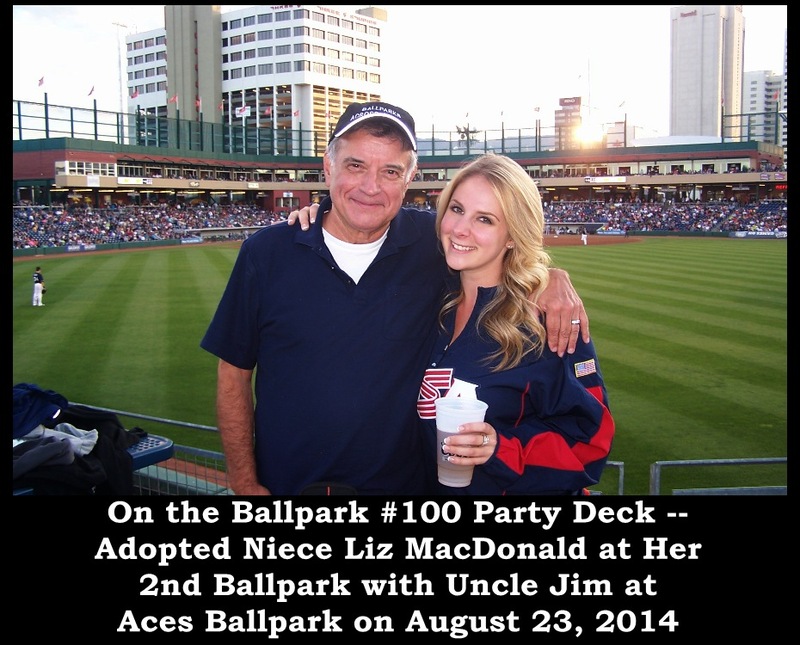 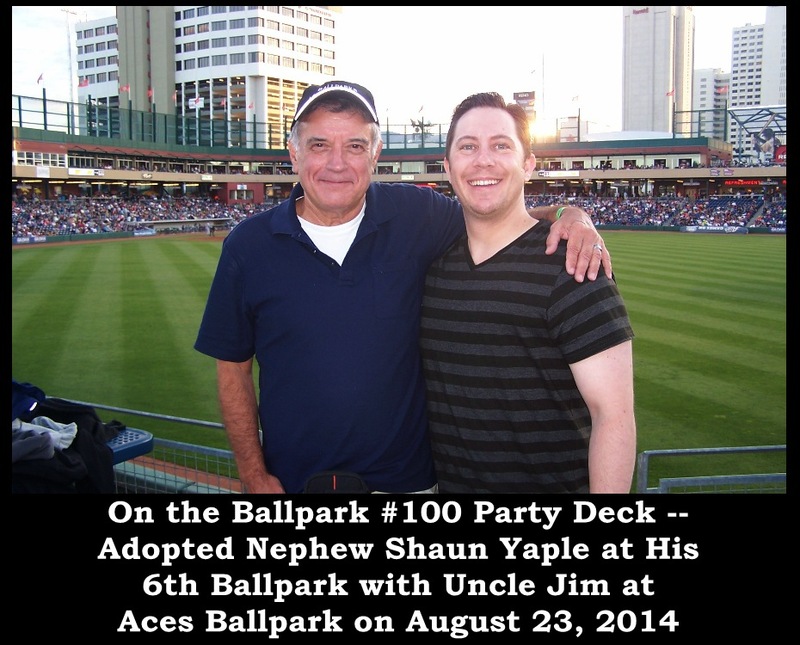 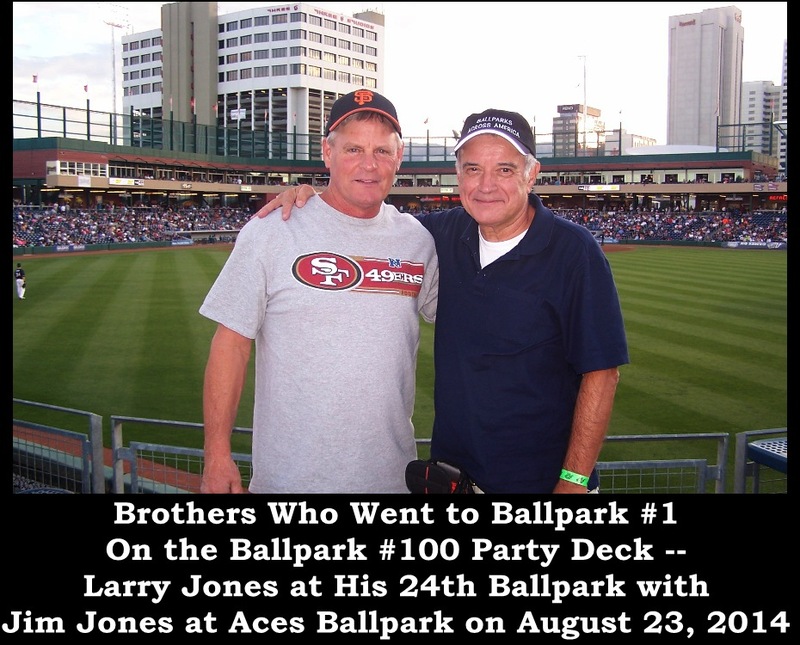 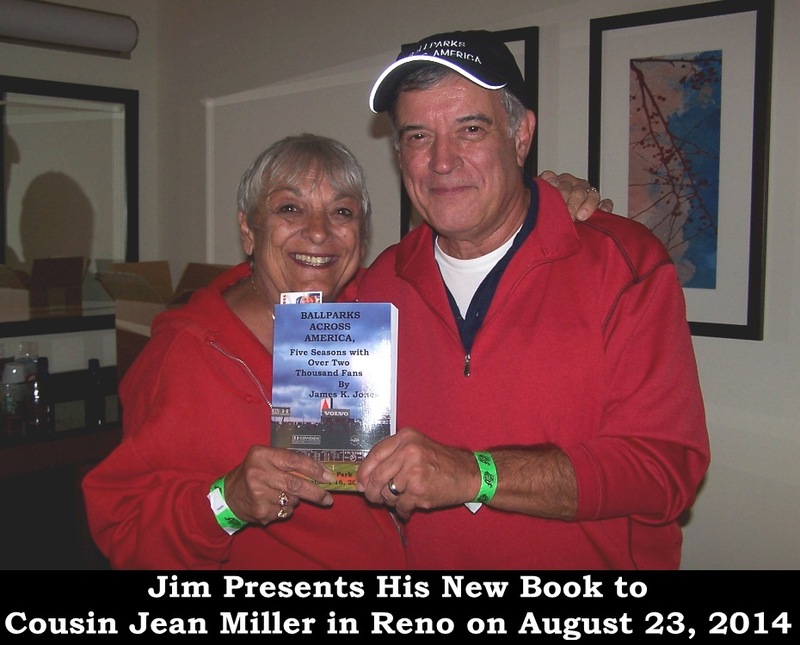 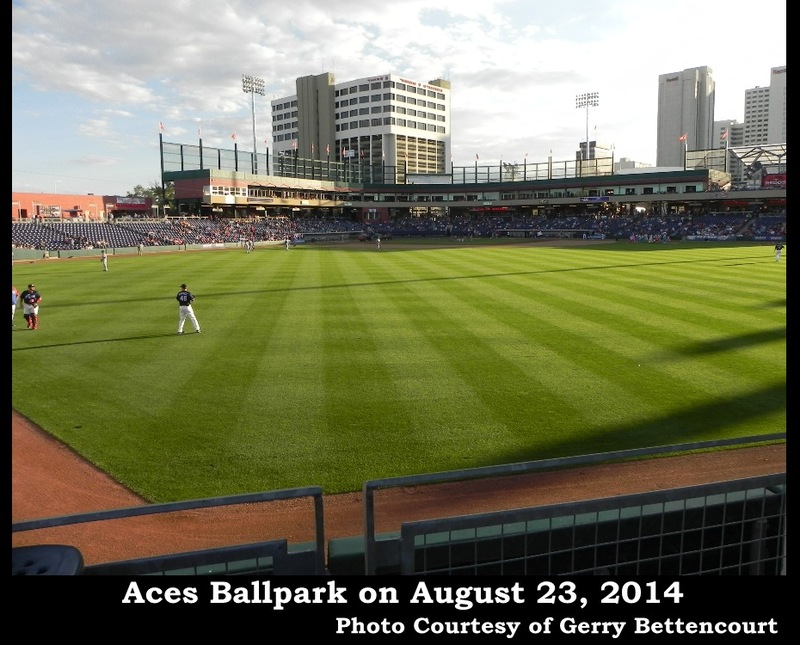 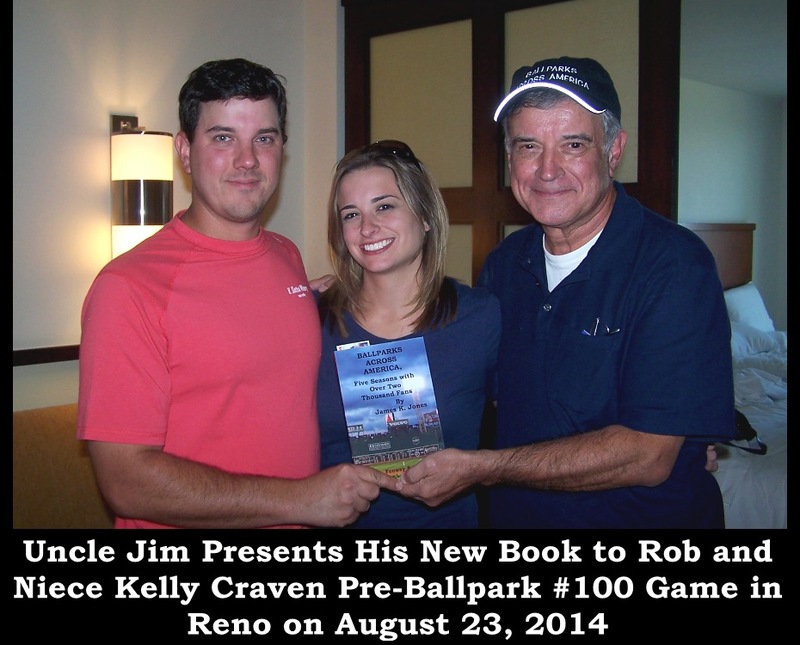 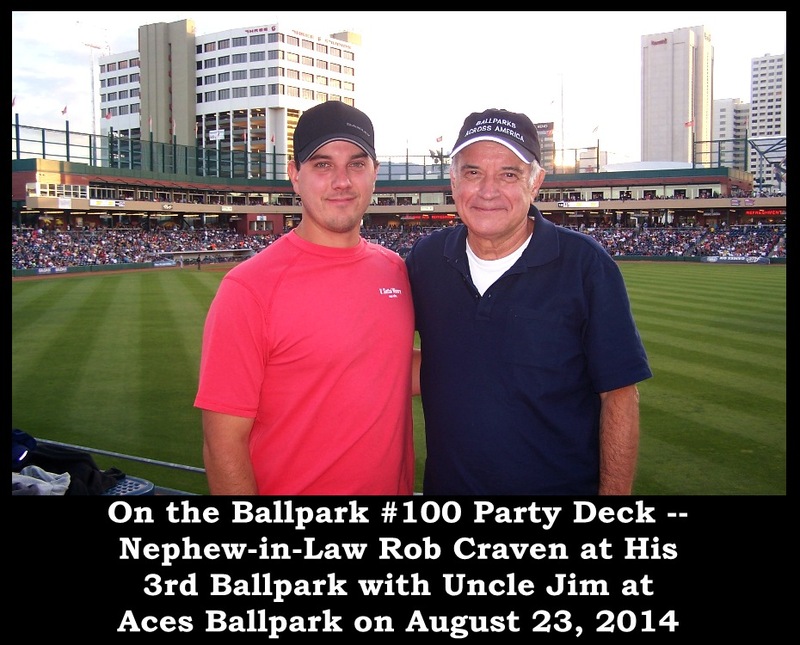 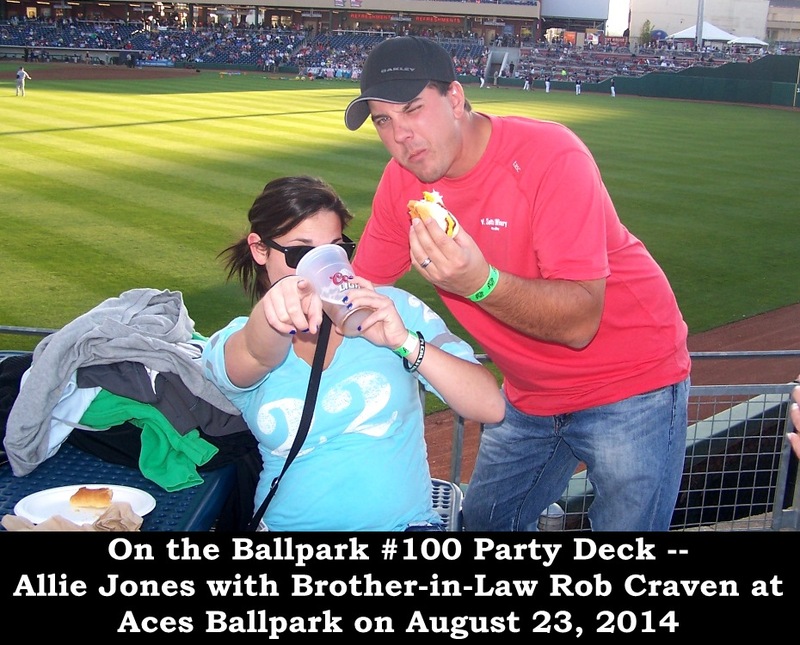 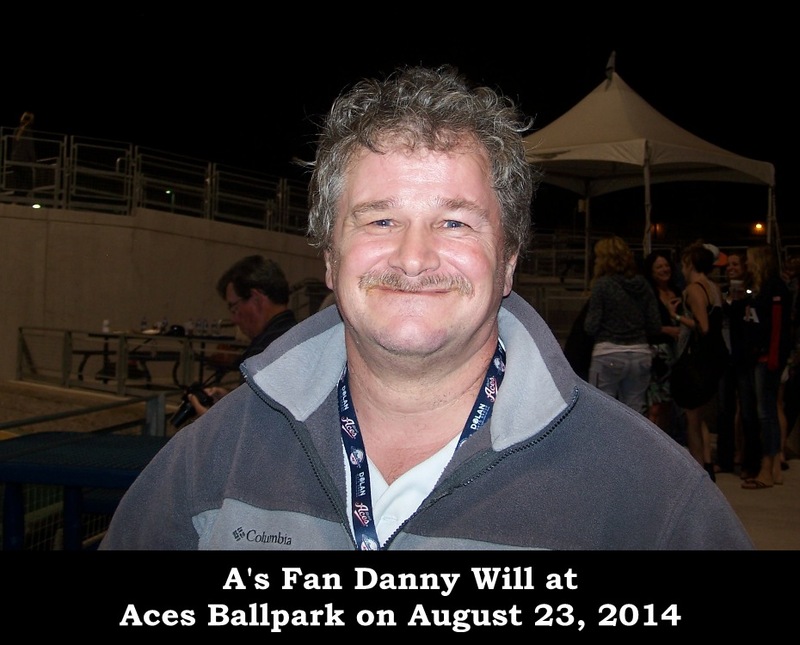 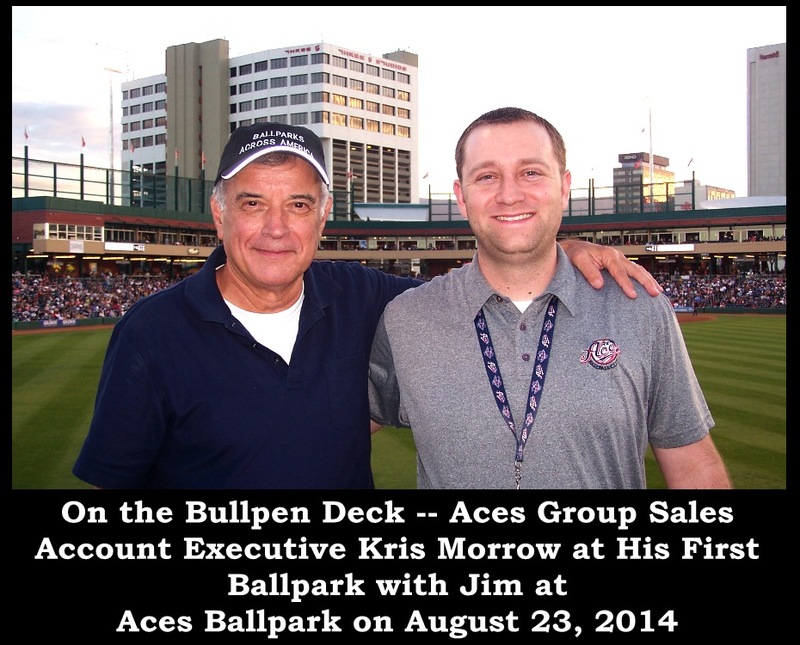 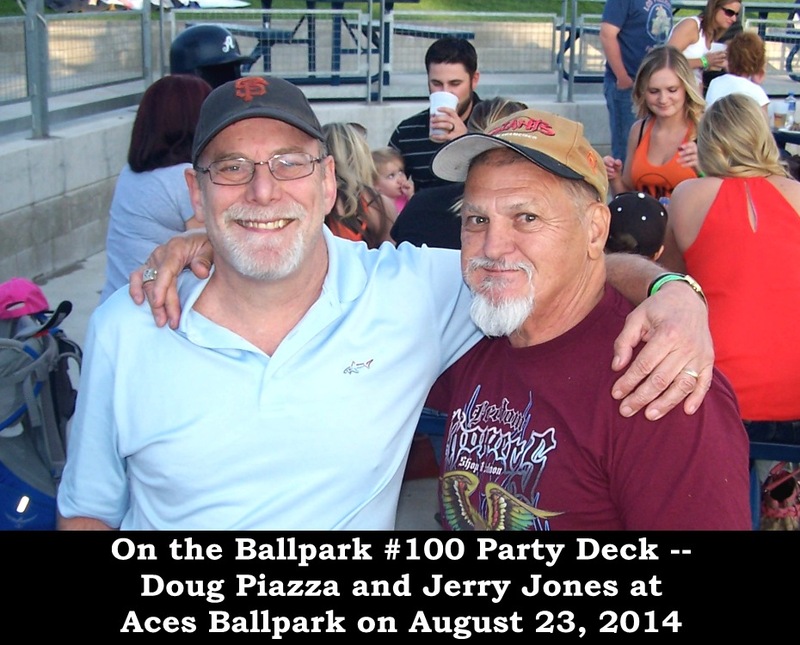 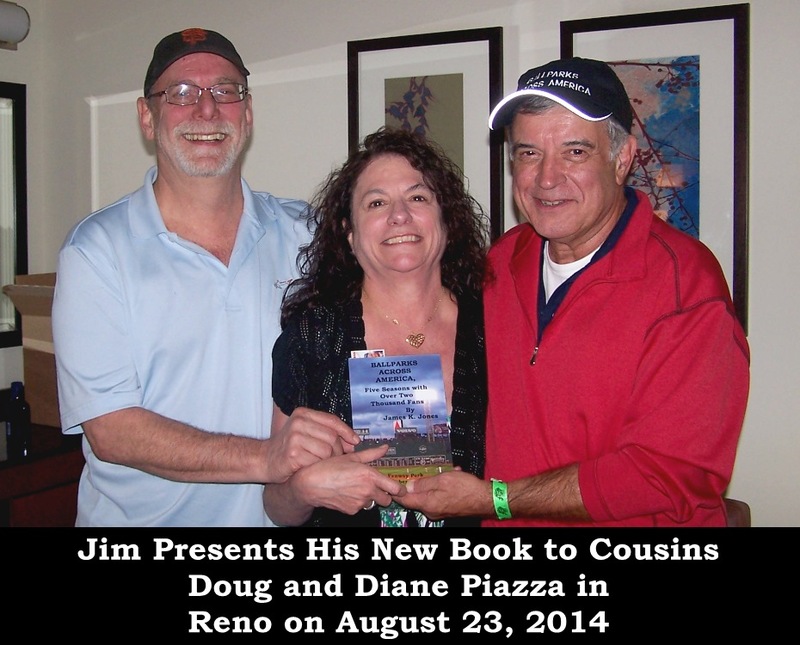 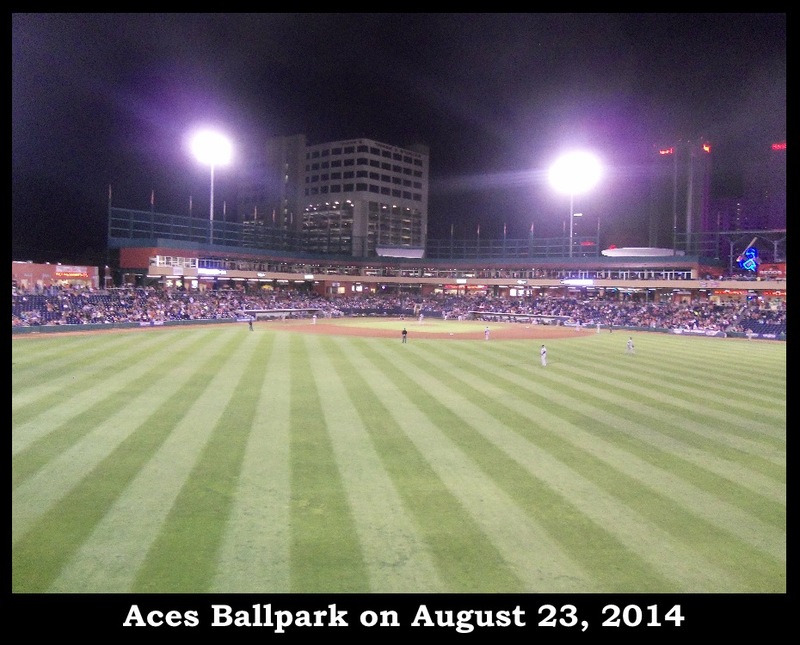 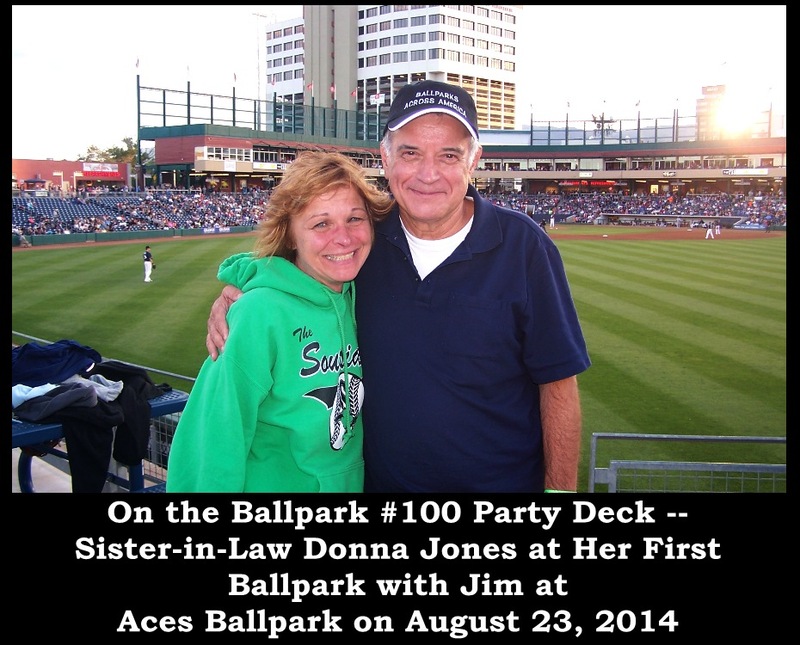 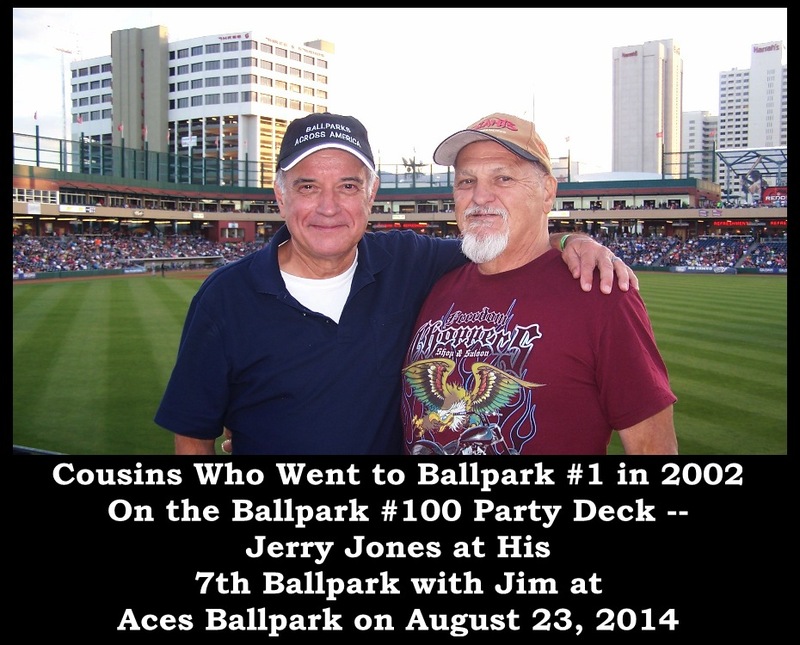 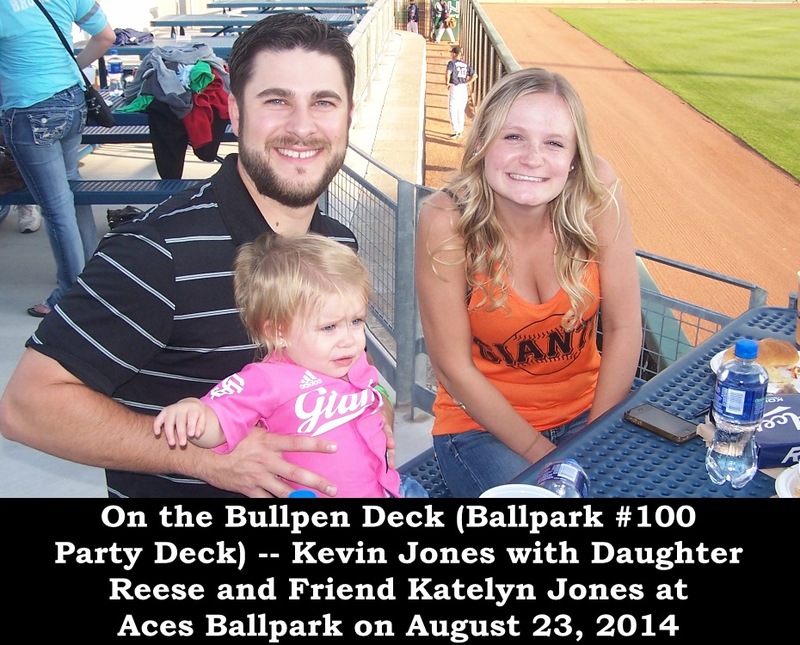 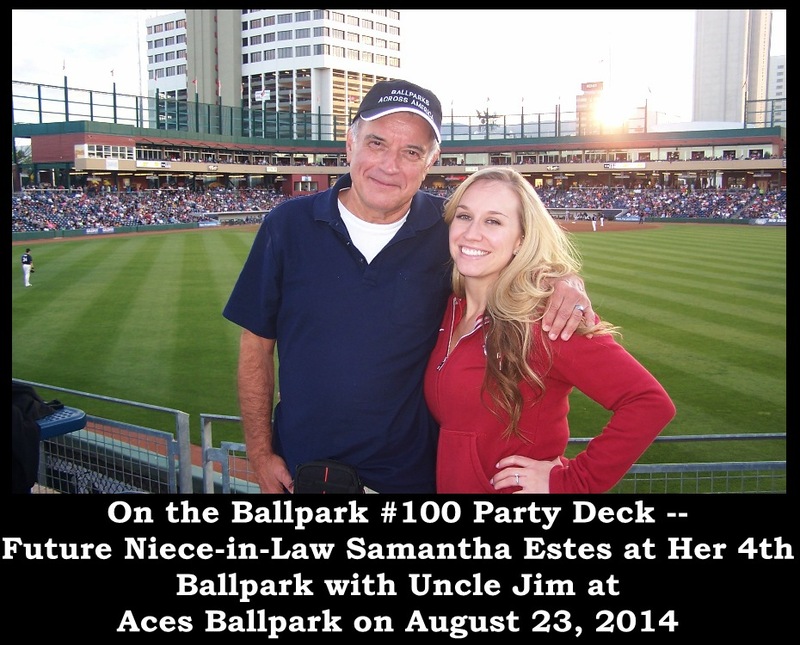 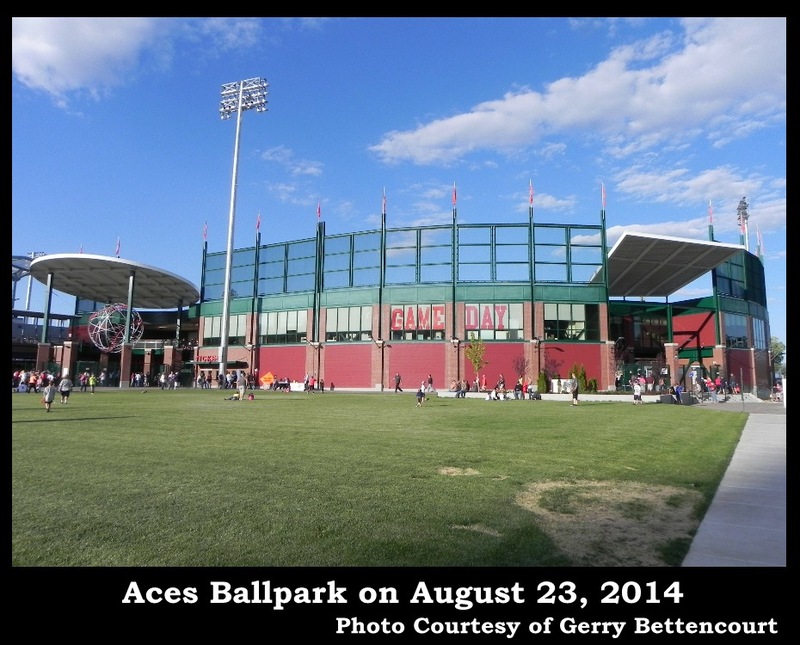 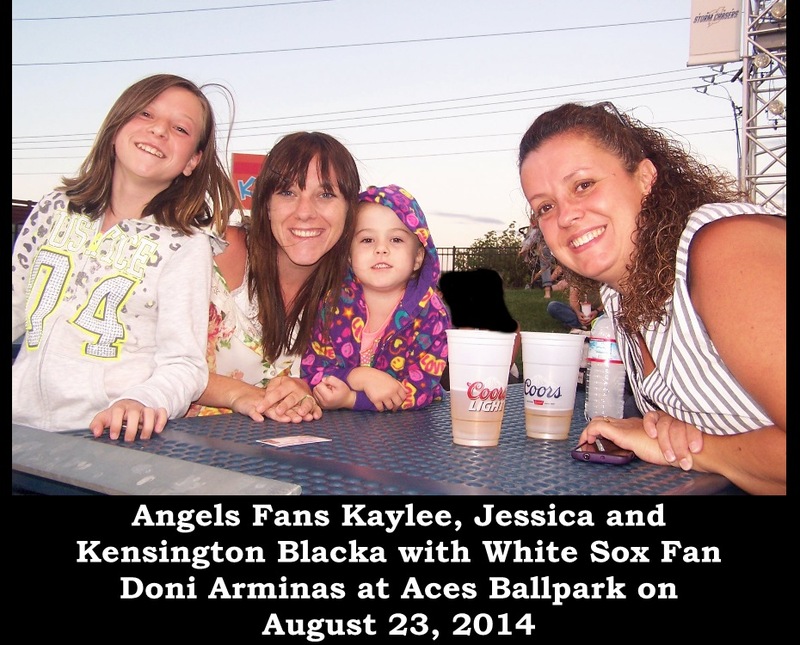 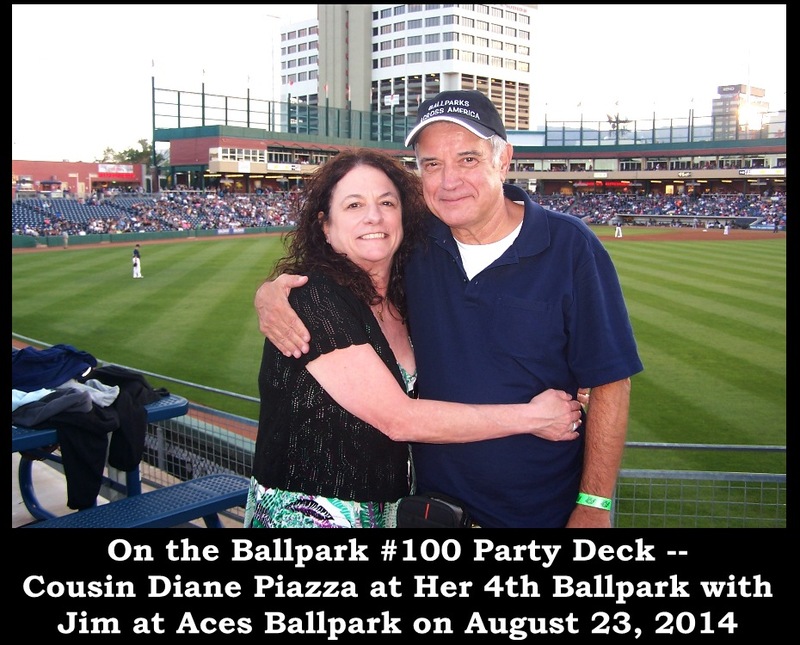 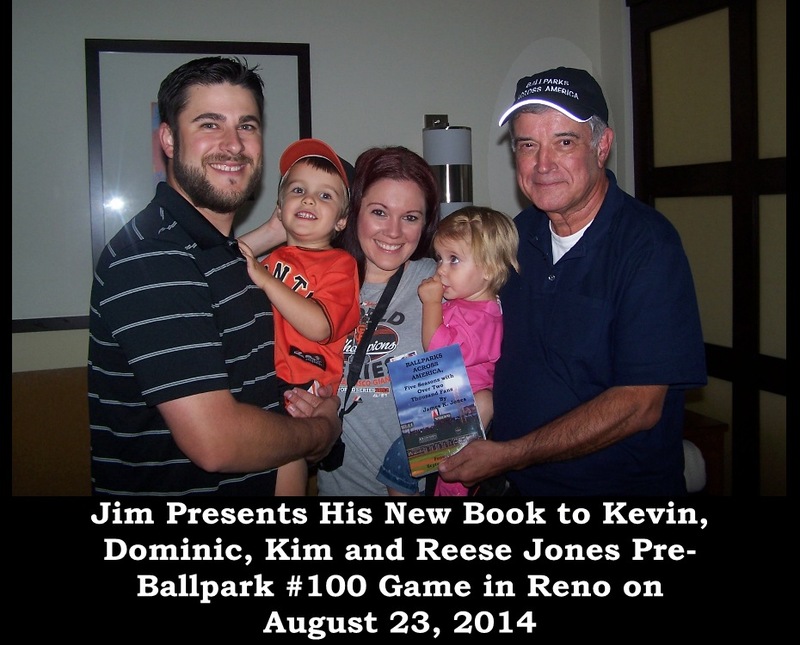 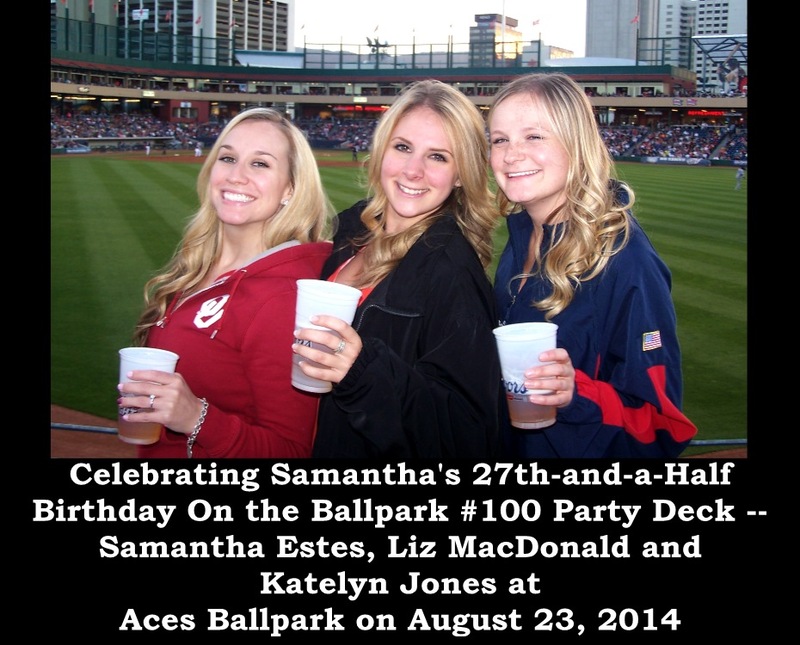 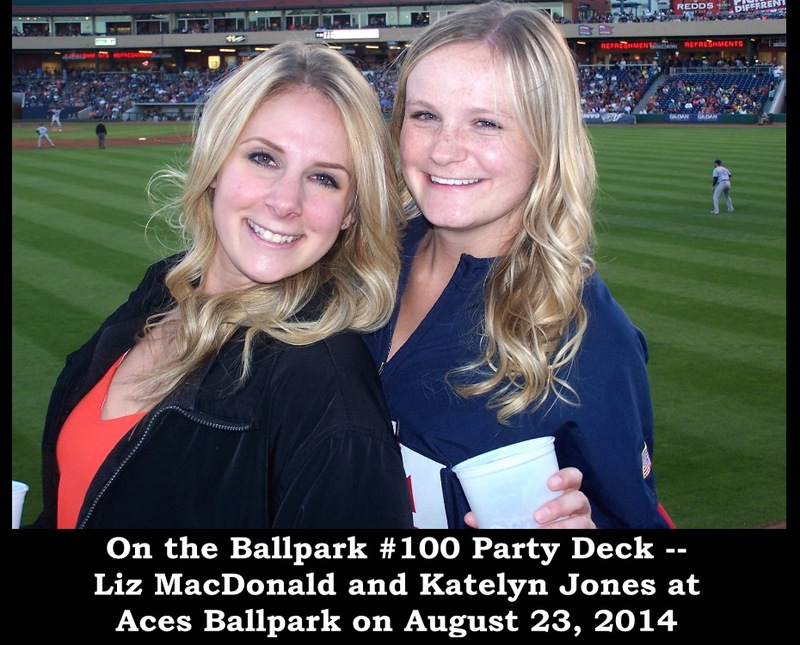 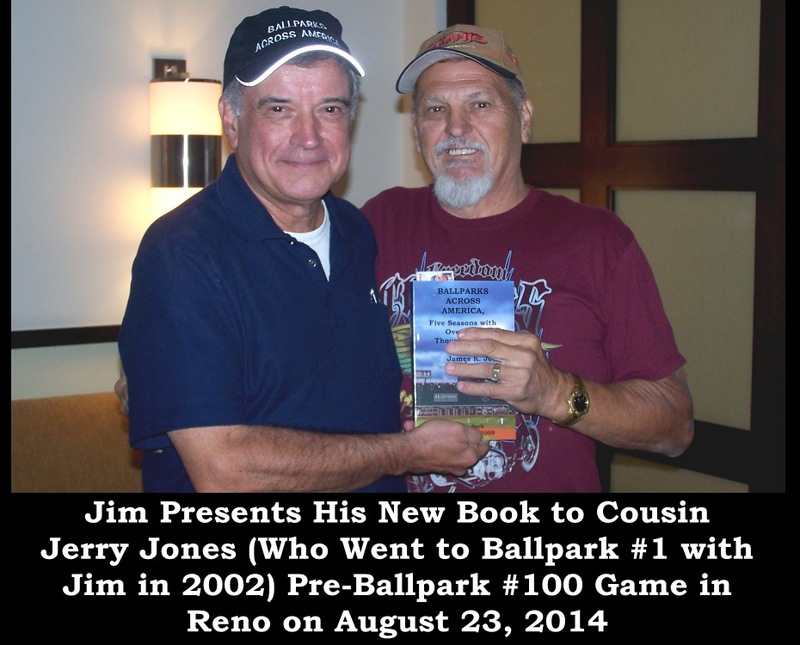 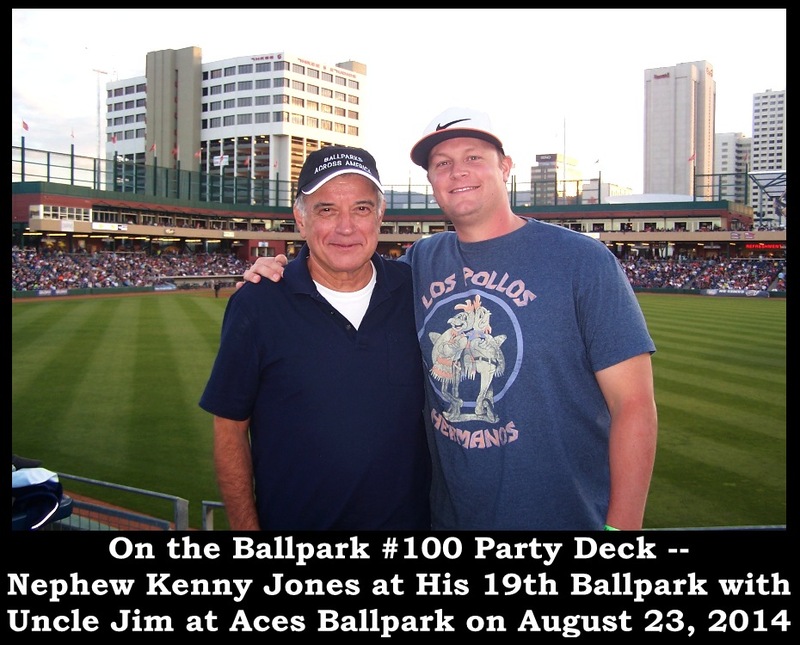 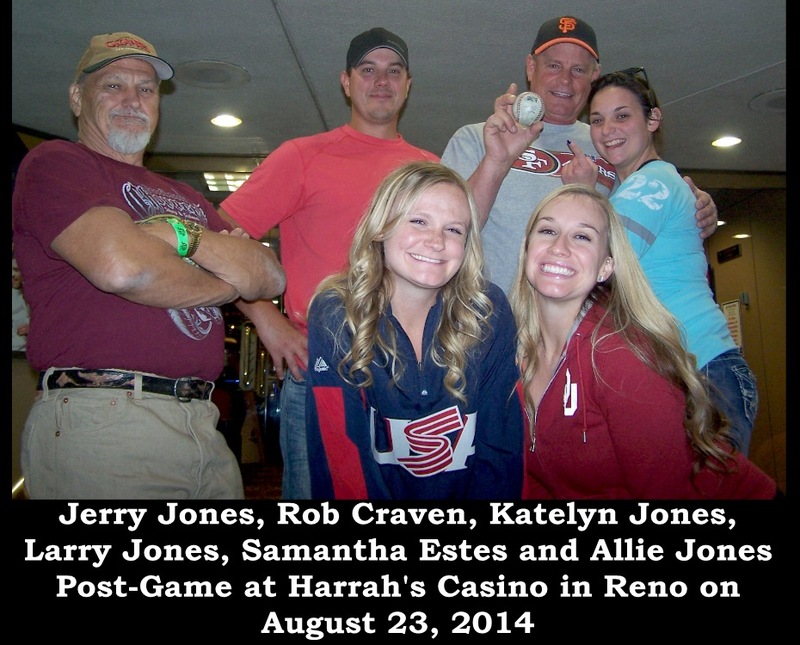 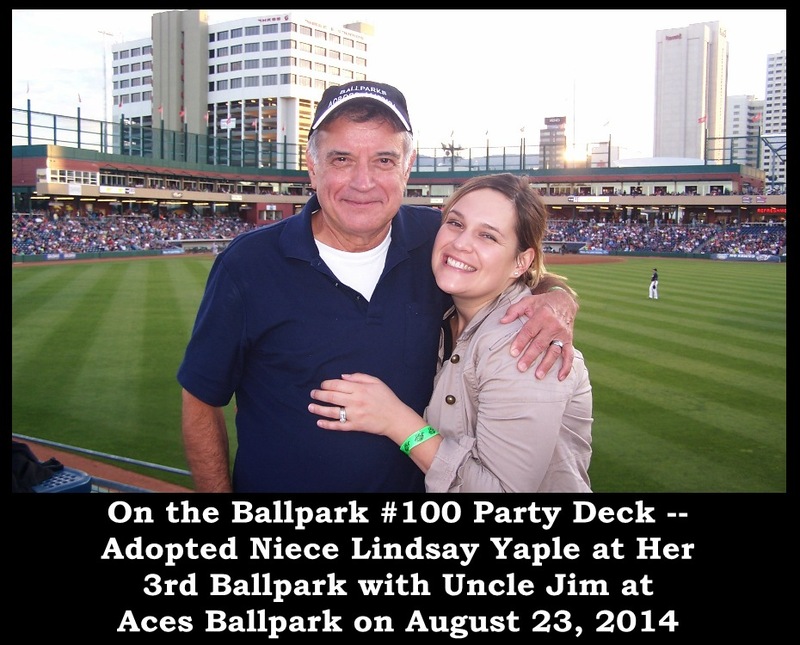 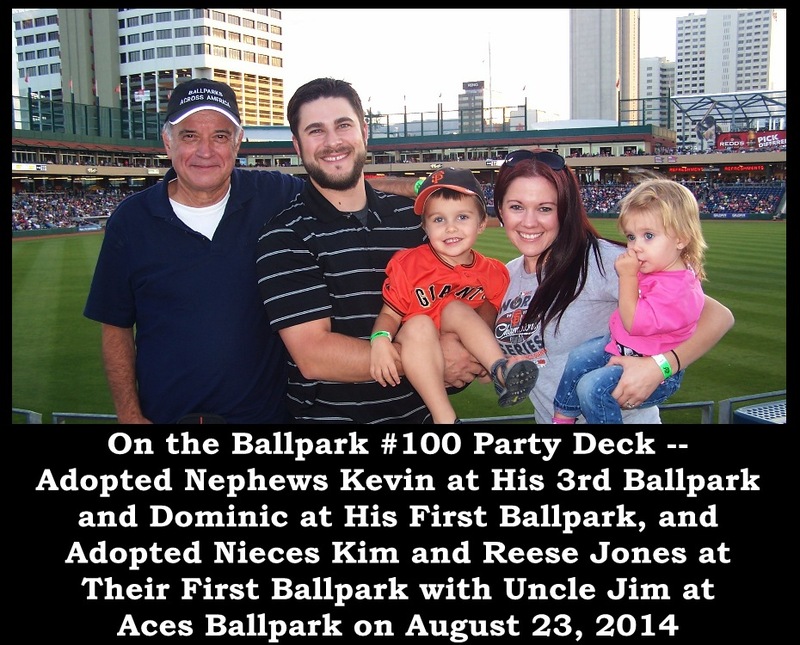 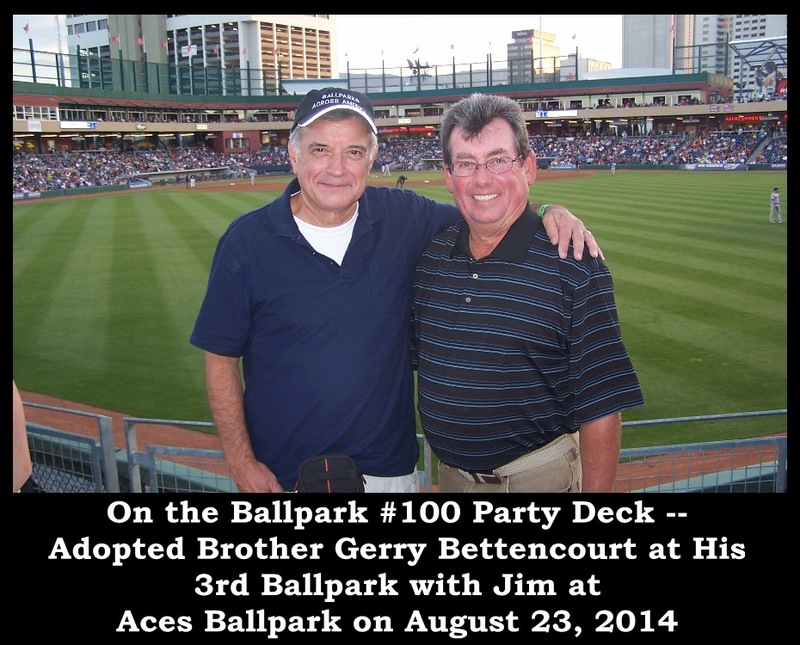 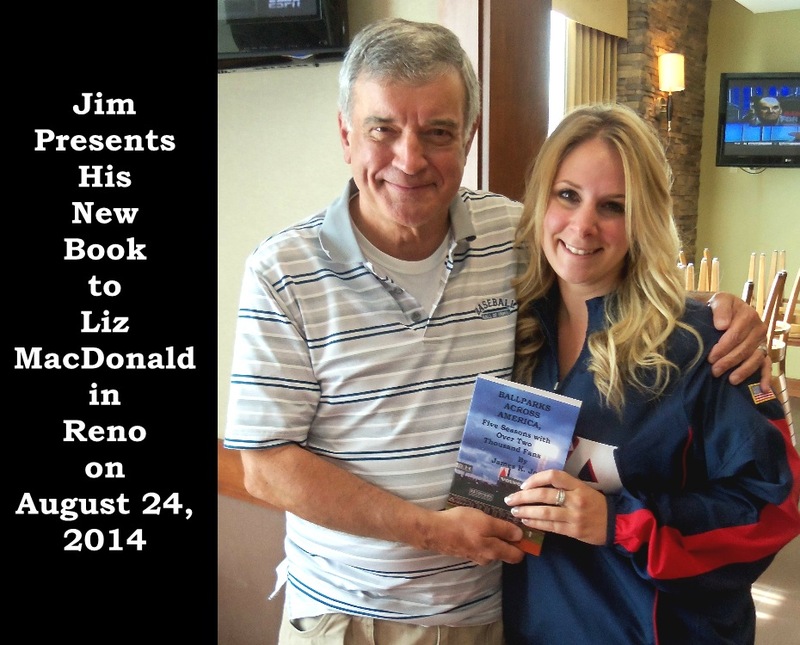 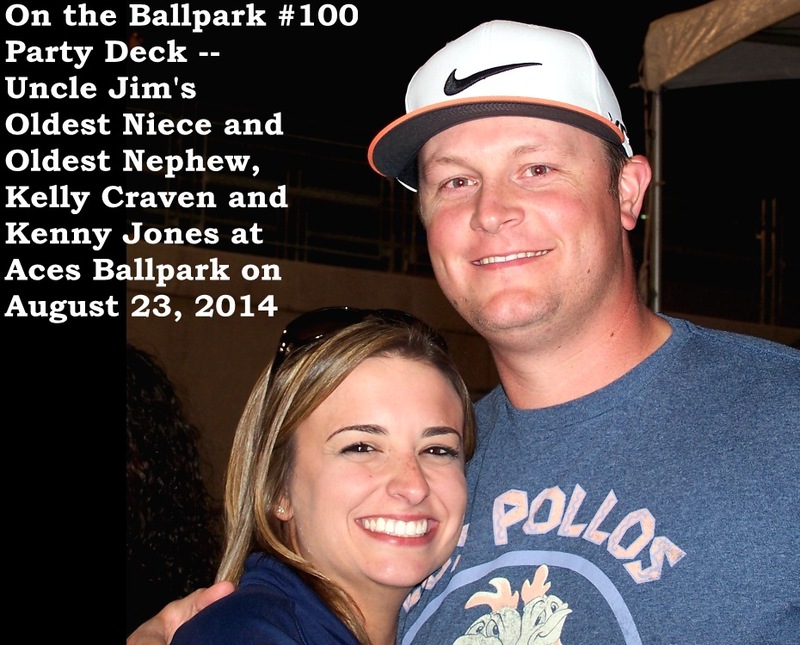 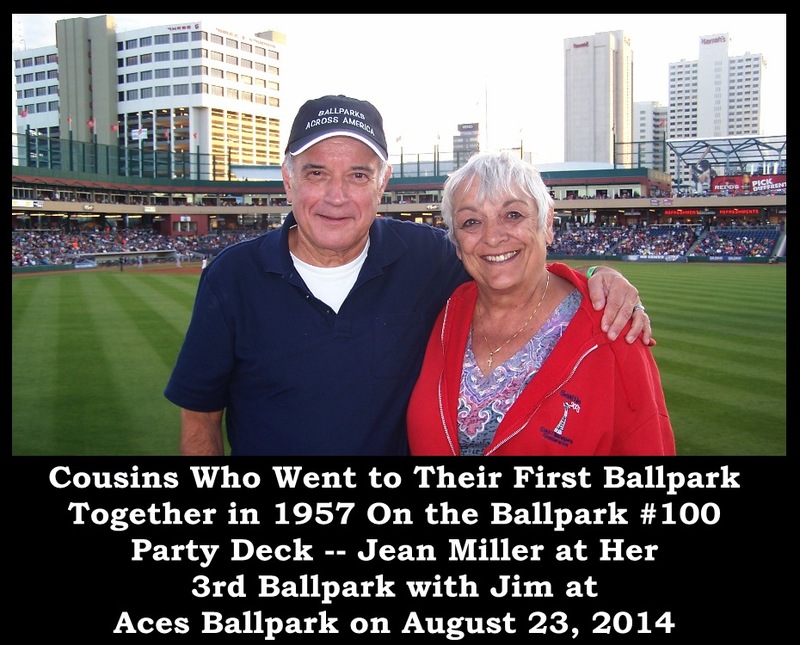 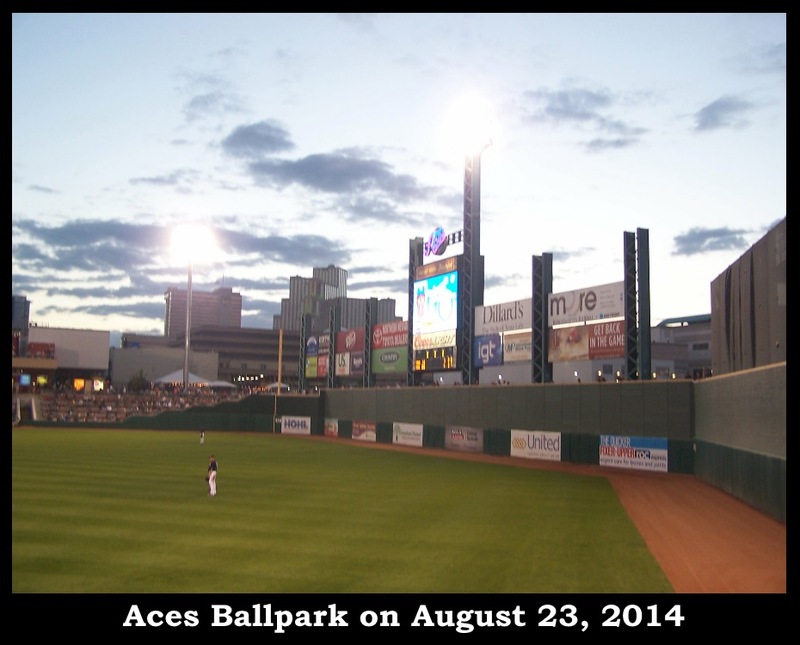 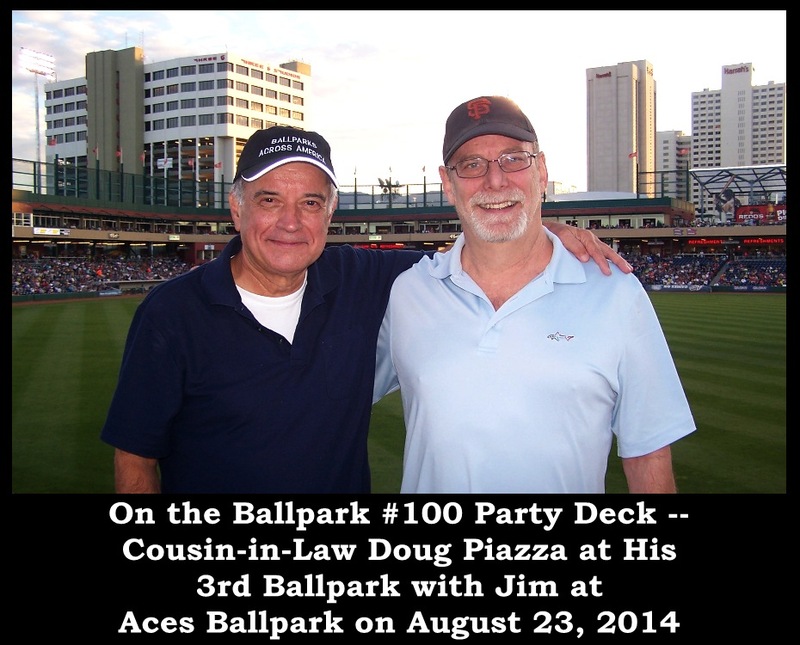 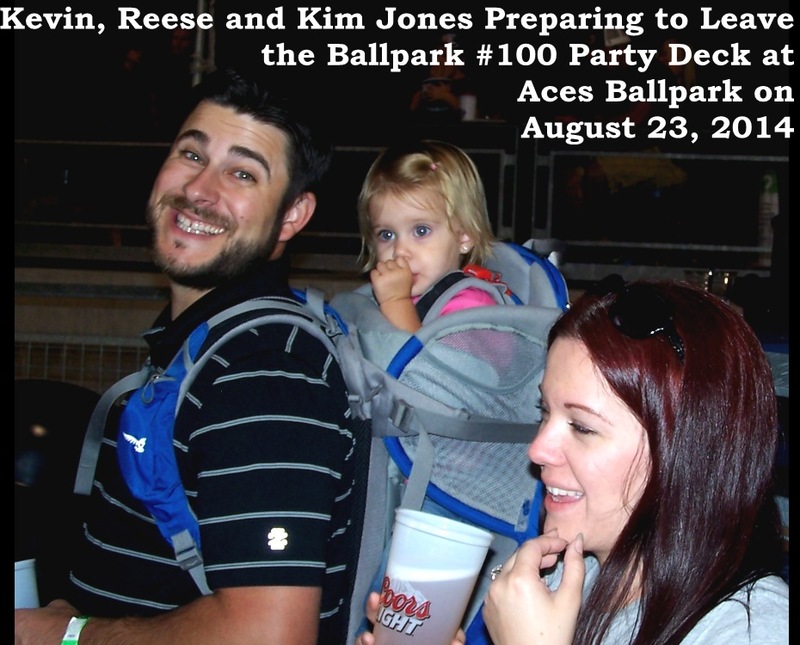 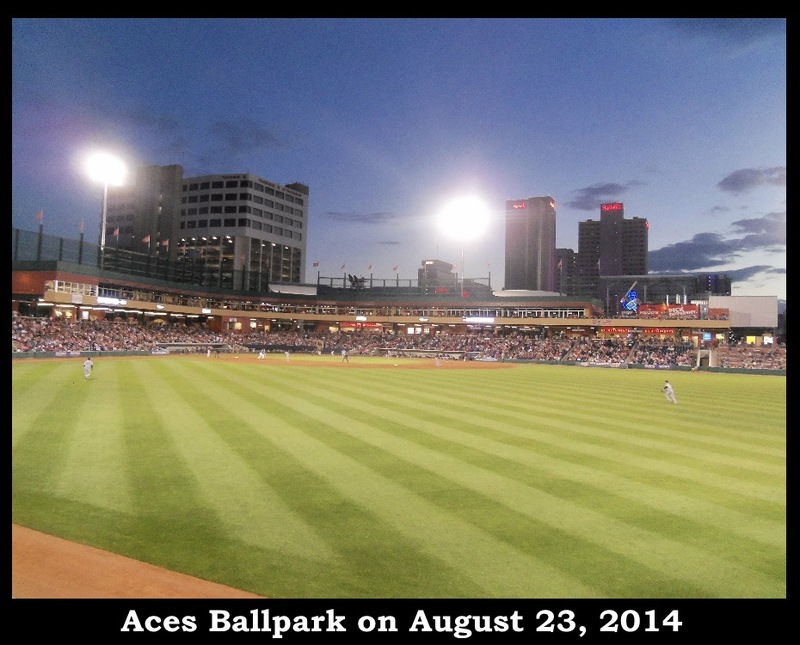 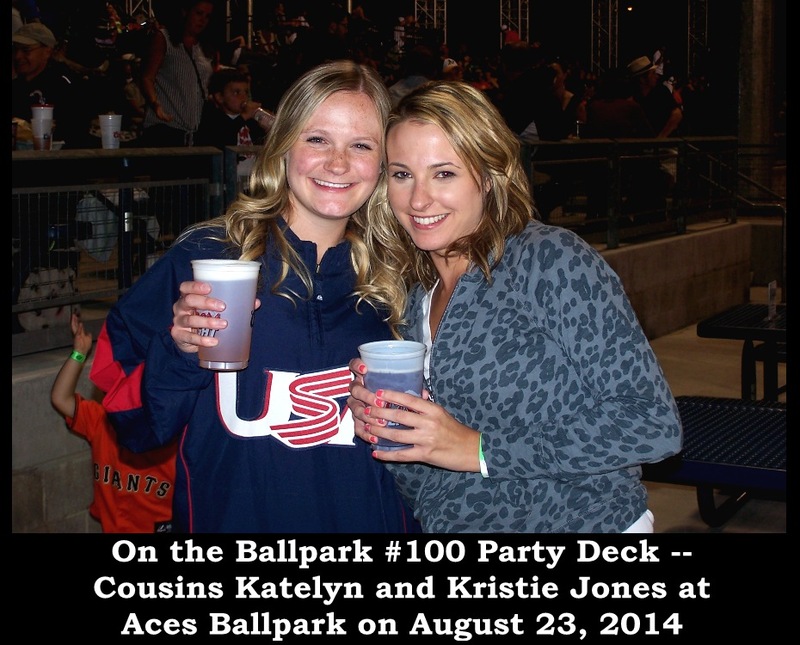 It turned into a family reunion at Aces Ballpark in Reno. 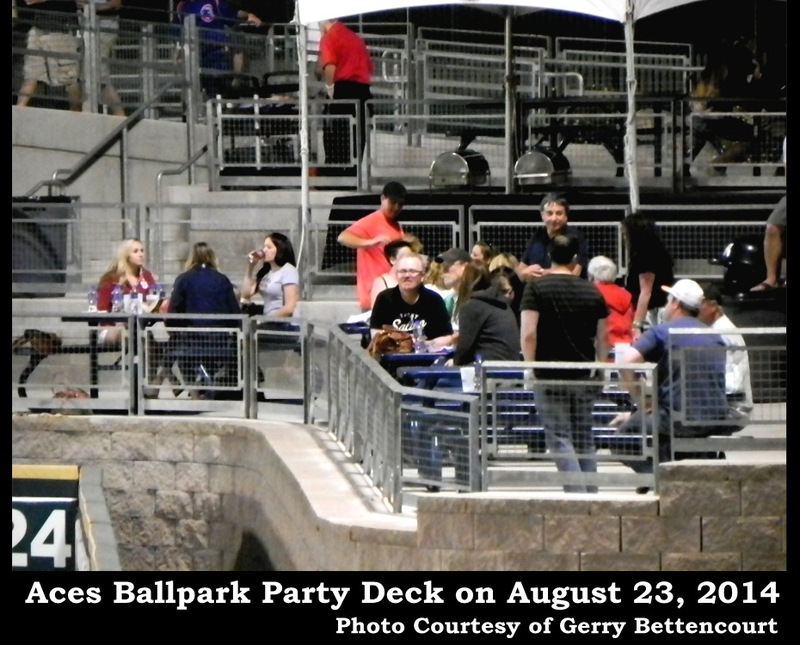 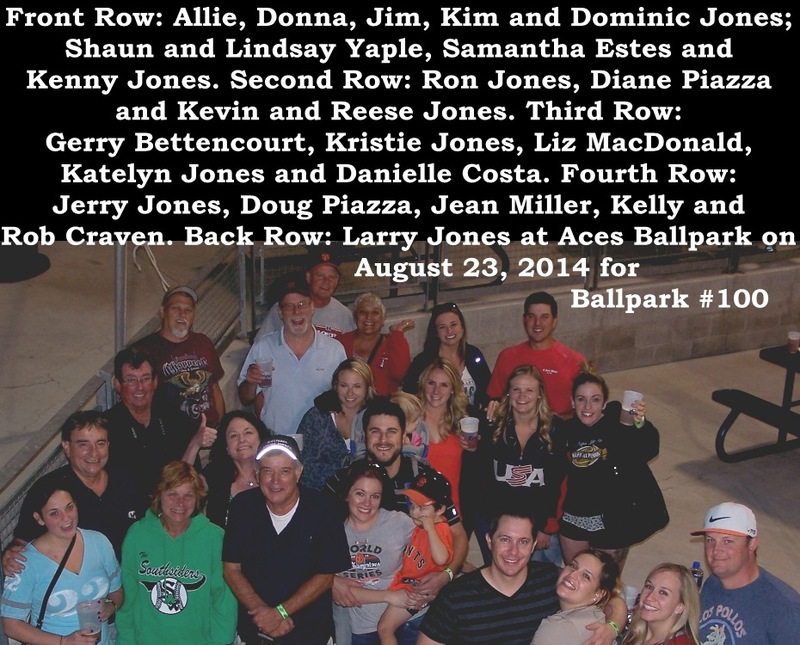 Twenty-five of us gathered on the Bullpen Deck for a private party. 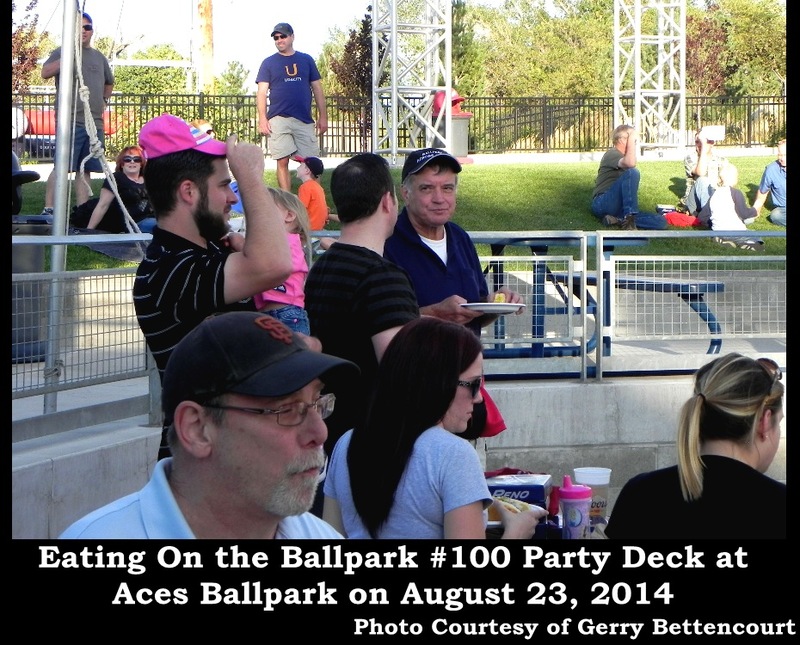 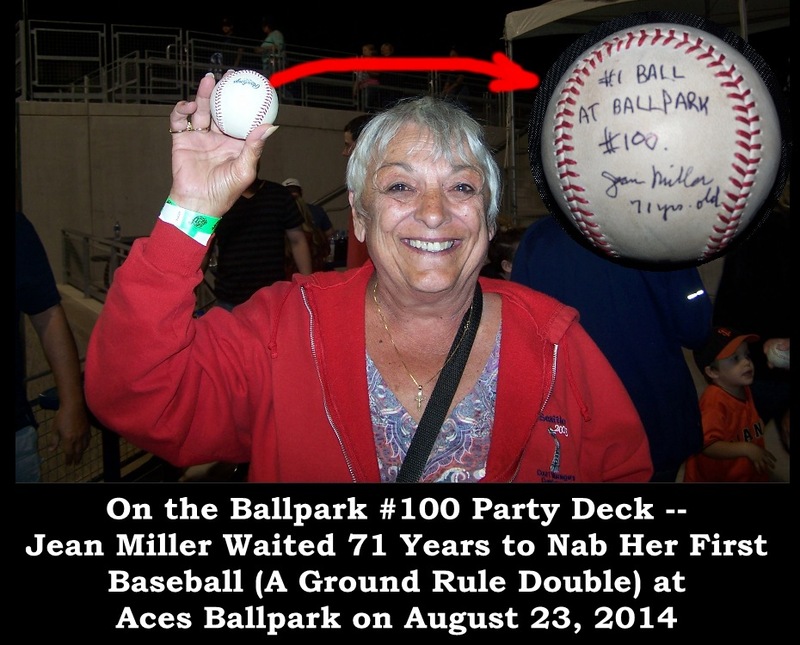 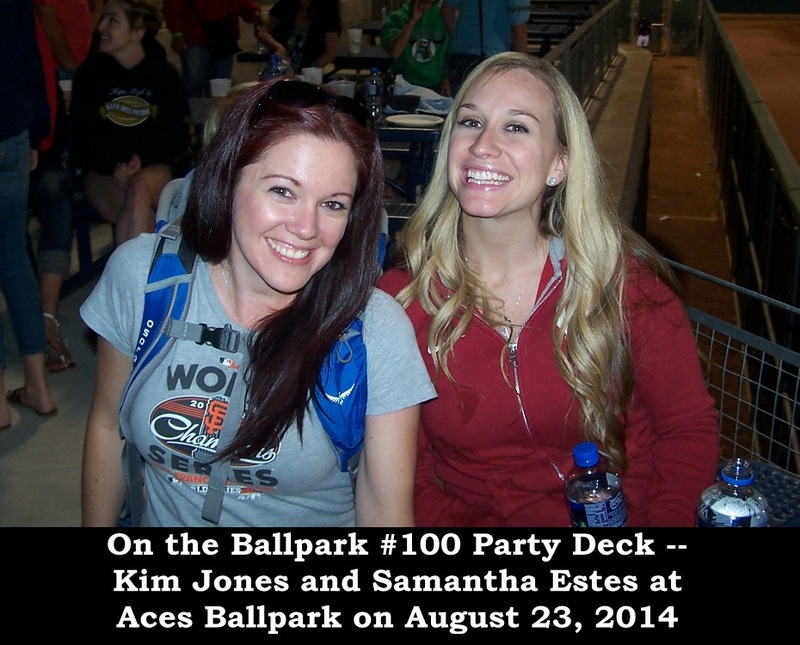 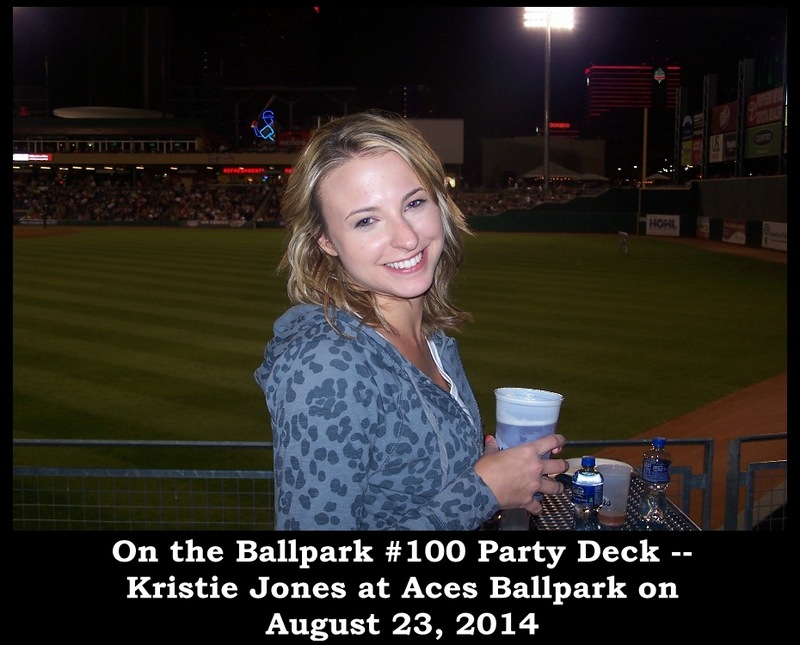 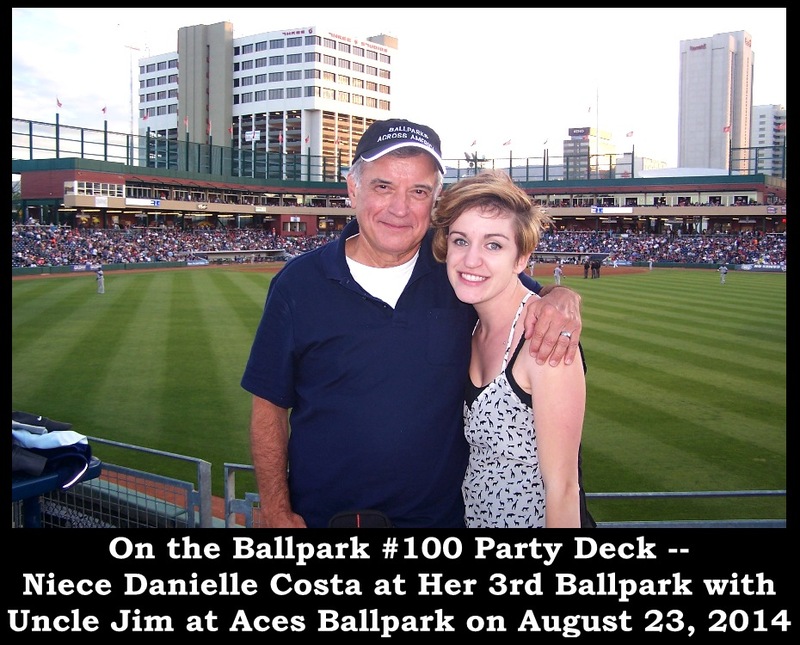 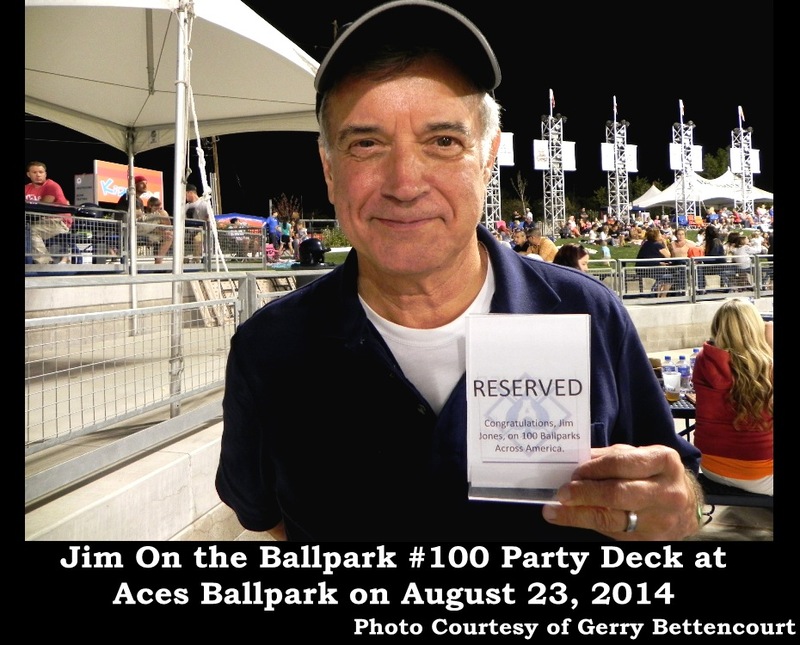 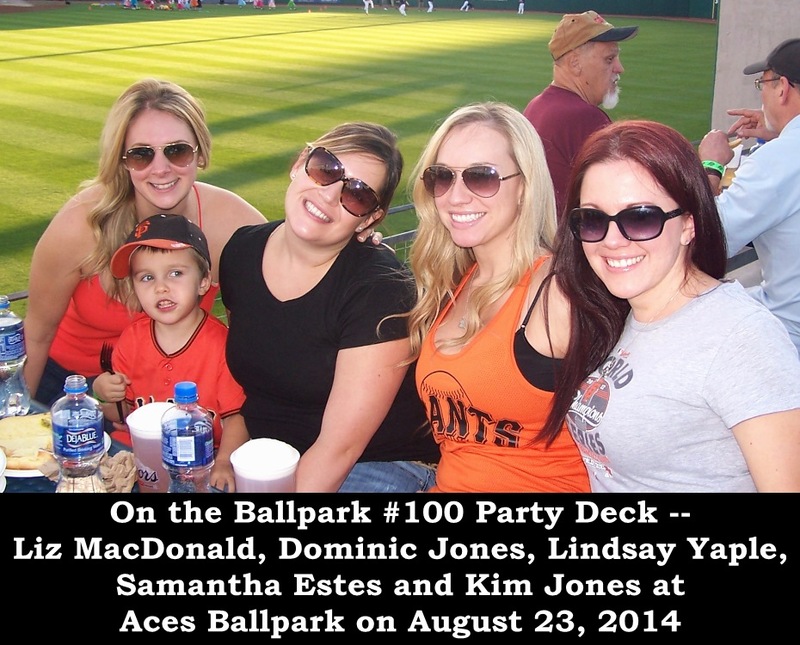 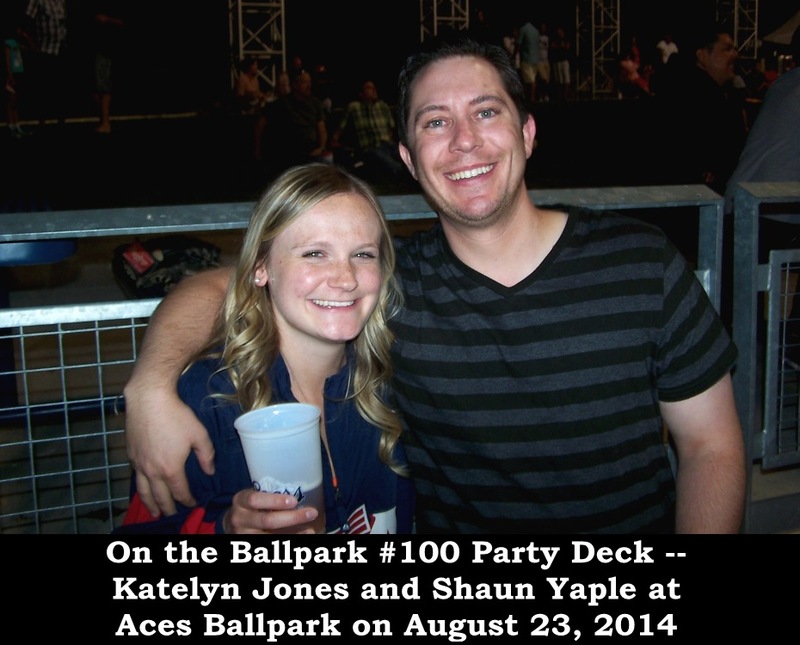 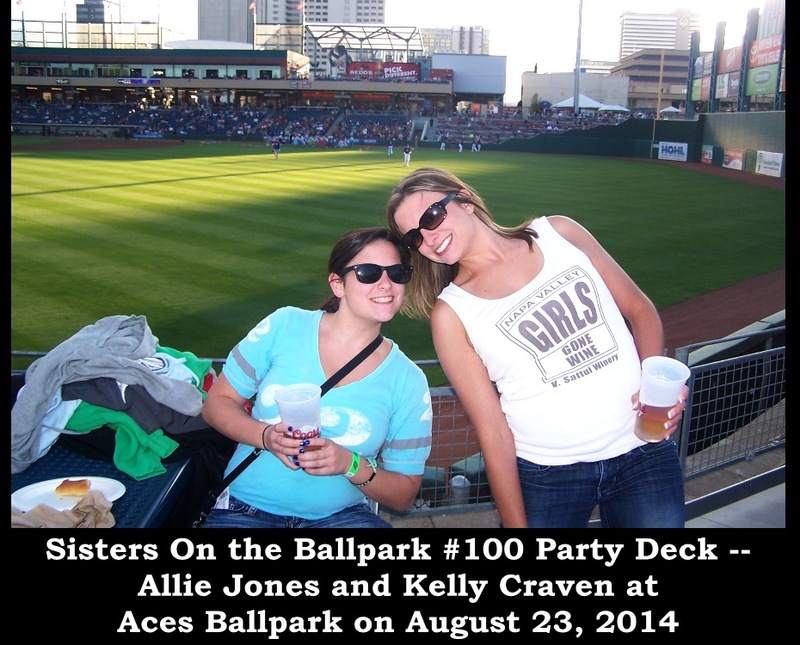 We renamed it “The Ballpark #100 Party Deck.” The day began with a book signing event, moved to Aces Ballpark, switched to Harrah’s Casino after the game, saw another book signing event and the closing of the Hyatt Place Bar, and ended after 2 AM with a party in my room at Hyatt Place Reno Airport. 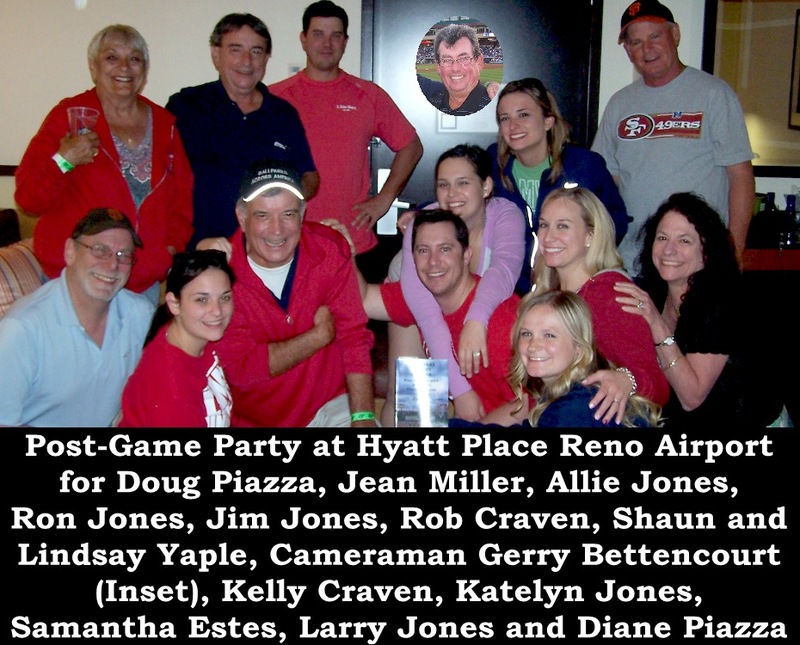 My bartending capability was not challenged because after the beer was all consumed, I offered clear vodka rocks and dirty vodka rocks. 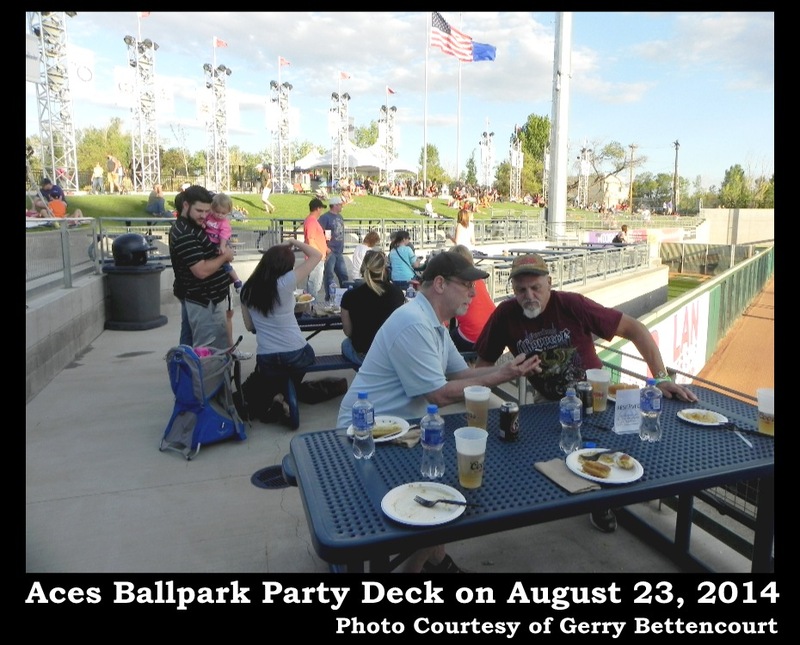 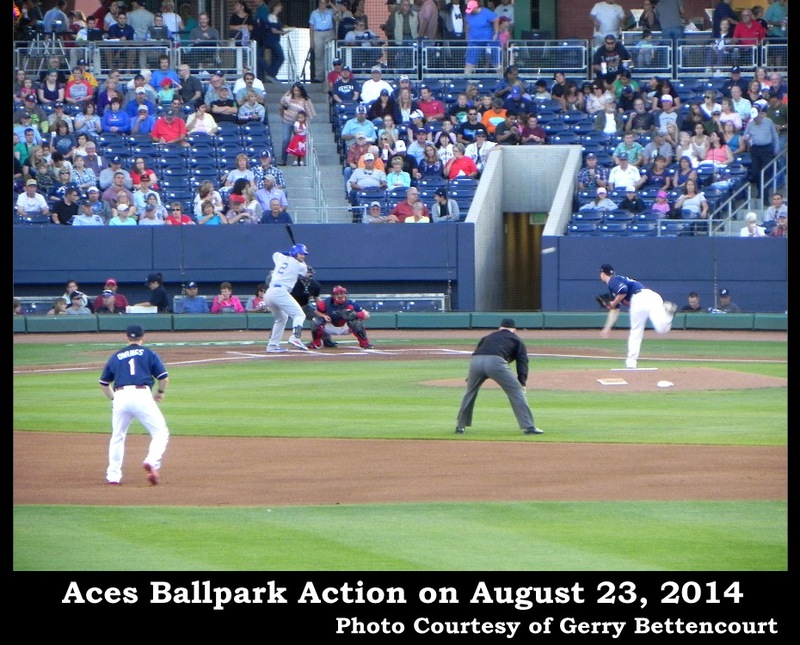 We have Hyatt Place to thank for the green olive brine that made drinks “dirty.” Reno Aces employees claimed they’d never heard as much laughter and noise from the Bullpen Deck. 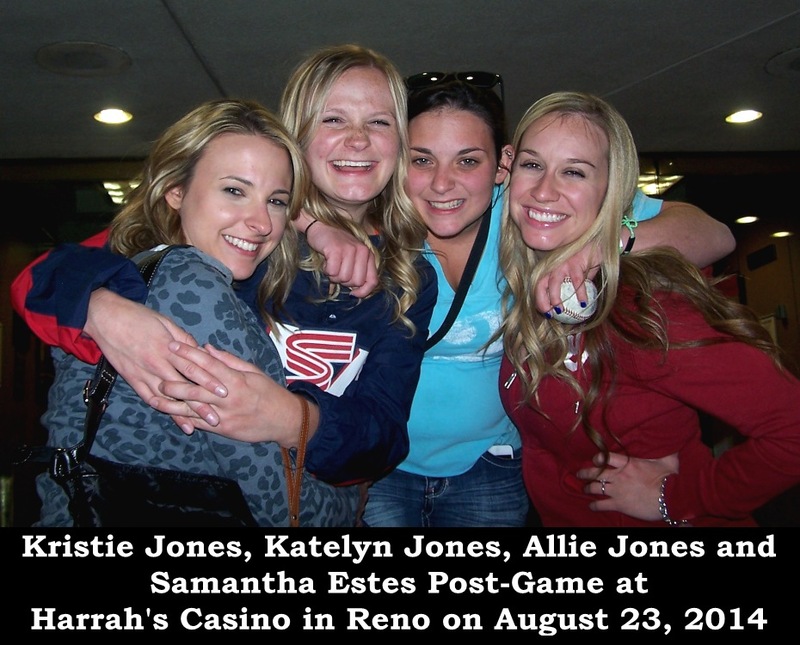 Indeed, I can believe that.